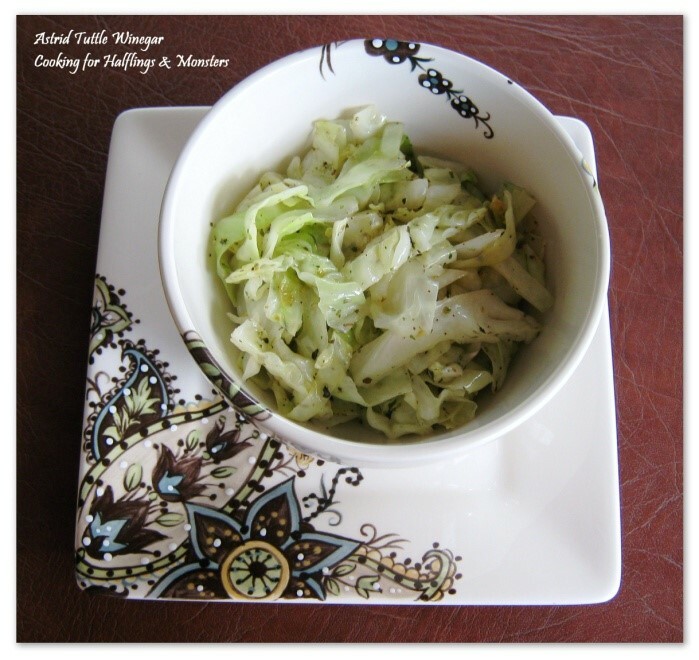 When Mrs. Maggot wants her humble cabbage to be a little more special, she breaks out some wine and Herbes de Provence in this delicious side dish which can be paired with many of your favorite recipes. Perhaps she partakes a bit of a tipple of that wine when she cooks. Sometimes she might even add some diced, cooked sausage to this and make it an actual dinner. Melt the butter in a 3-quart deep skillet over rather high heat. Add the cabbage and sauté for about 2 minutes. Add the remaining ingredients; cover and cook over medium heat for 3 minutes. Uncover and raise heat to high. Sauté 1-2 minutes until most of the liquid evaporates. Cover and refrigerate leftovers. Serves 4-6. This is known as “Herby Cabbage Sauté” in my cookbook. Astrid Tuttle Winegar is currently at work on the second edition of her cookbook, which will soon be available in the usual places on Halloween! For now, she is mostly telling a culinary Middle-earth story here on Legendarium. Astrid has loved C. S. Lewis since childhood, J. R. R. Tolkien since middle and high school, all Star things, both Trek and Wars, all things Whedon, and many other things besides… She lives in the enchanted city of Albuquerque, New Mexico, with her husband. 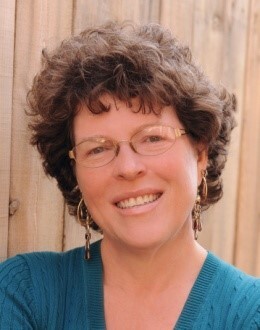 Visit her website for more information: Astrid Tuttle Winegar | Cooking for Halflings & Monsters. Staff Reporter.